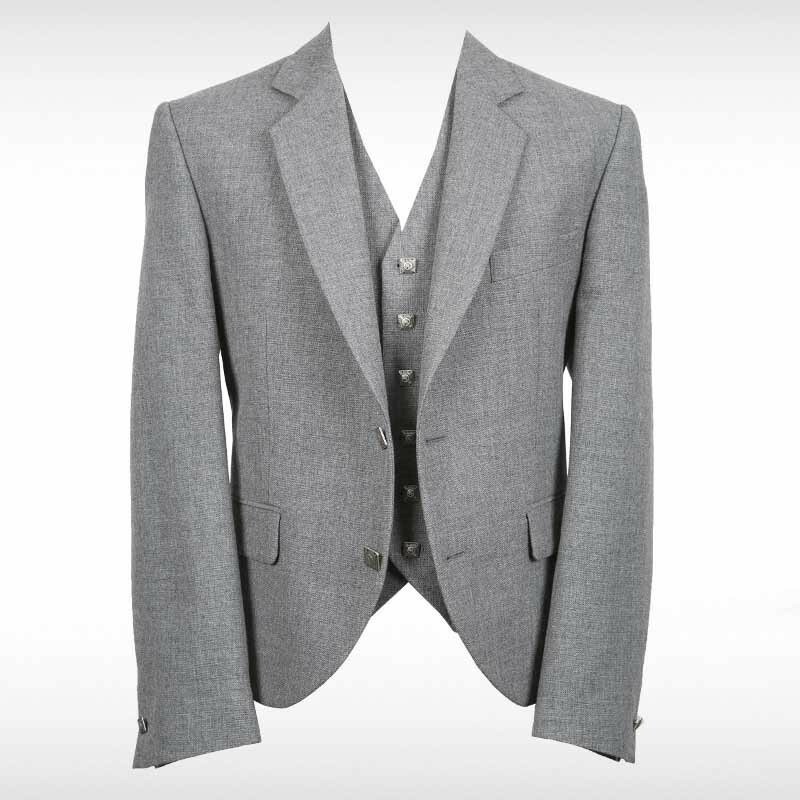 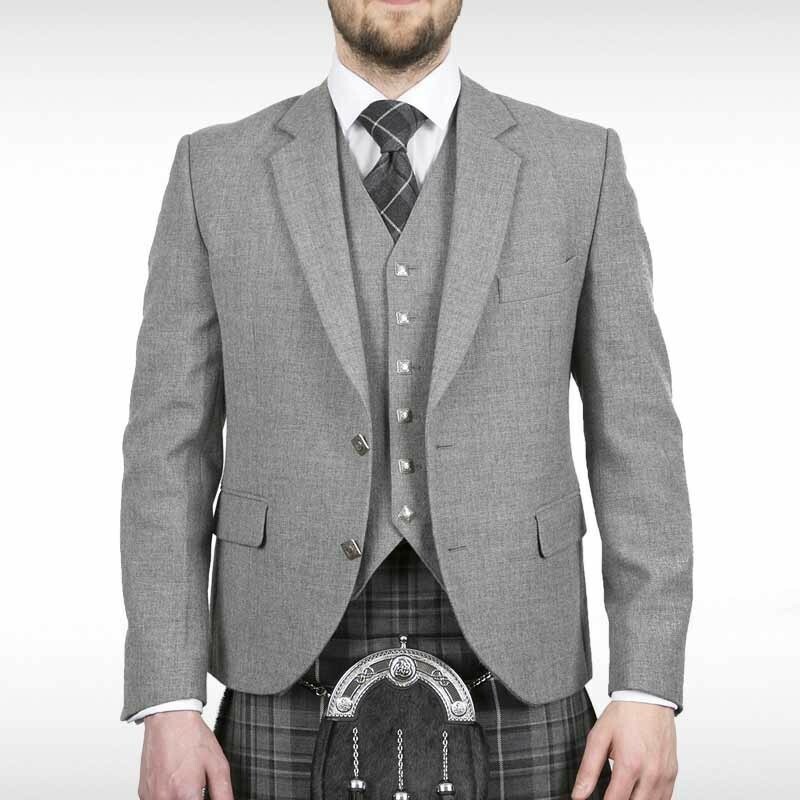 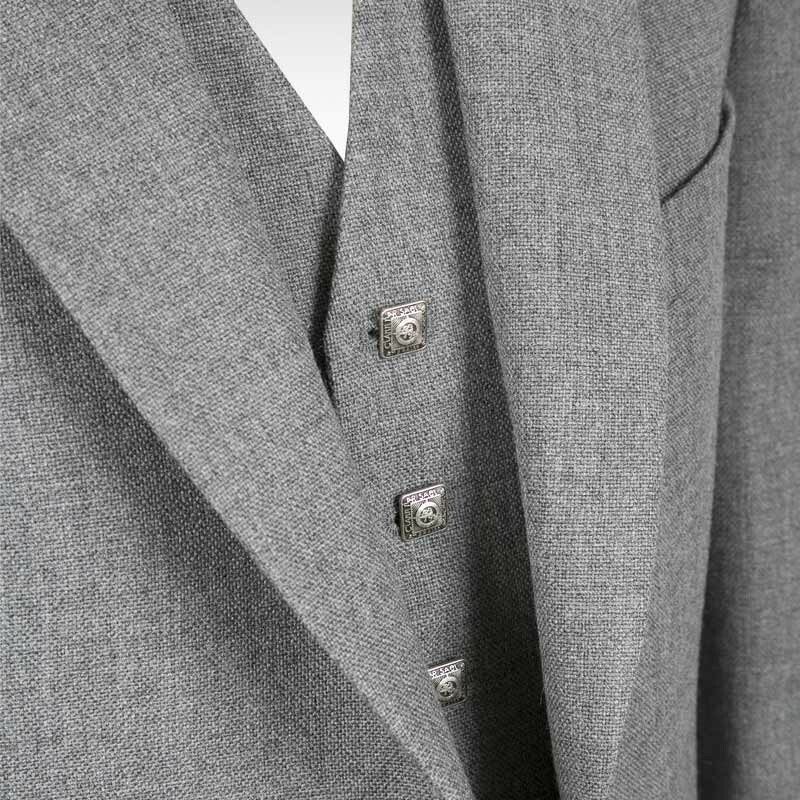 Contemporary light grey tweed jacket and waistcoat. 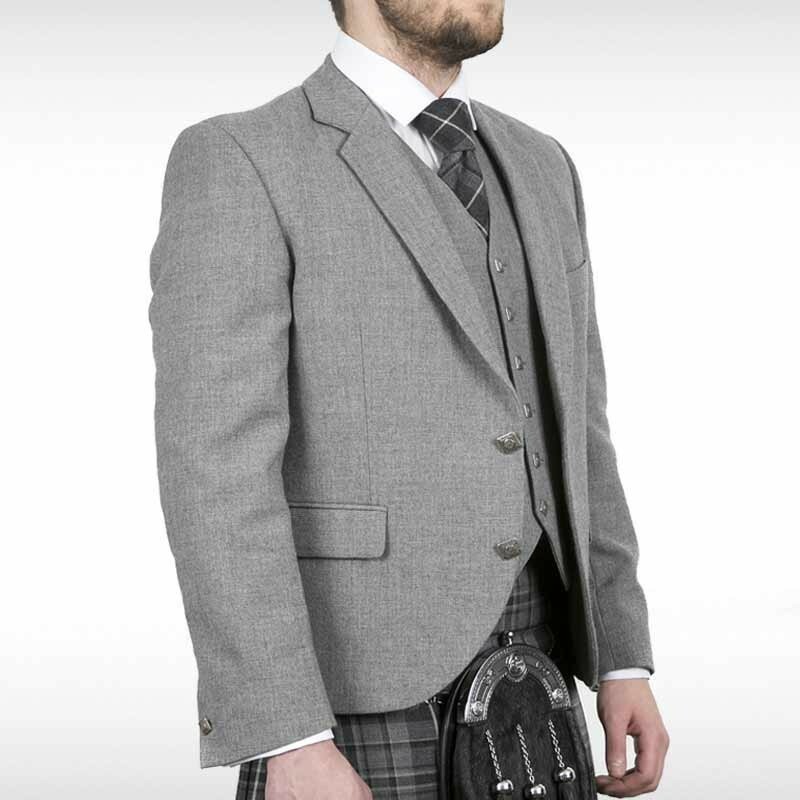 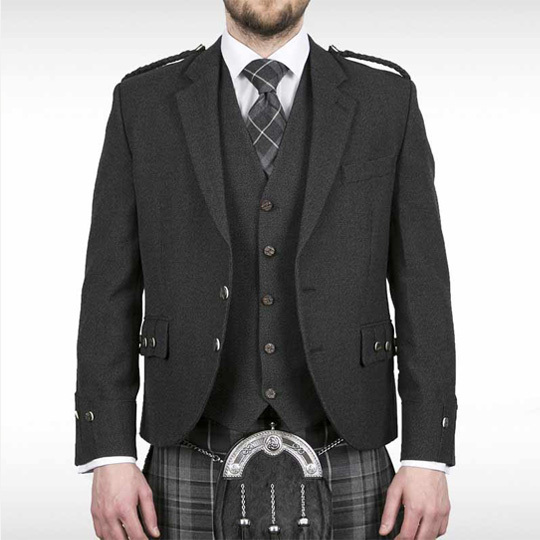 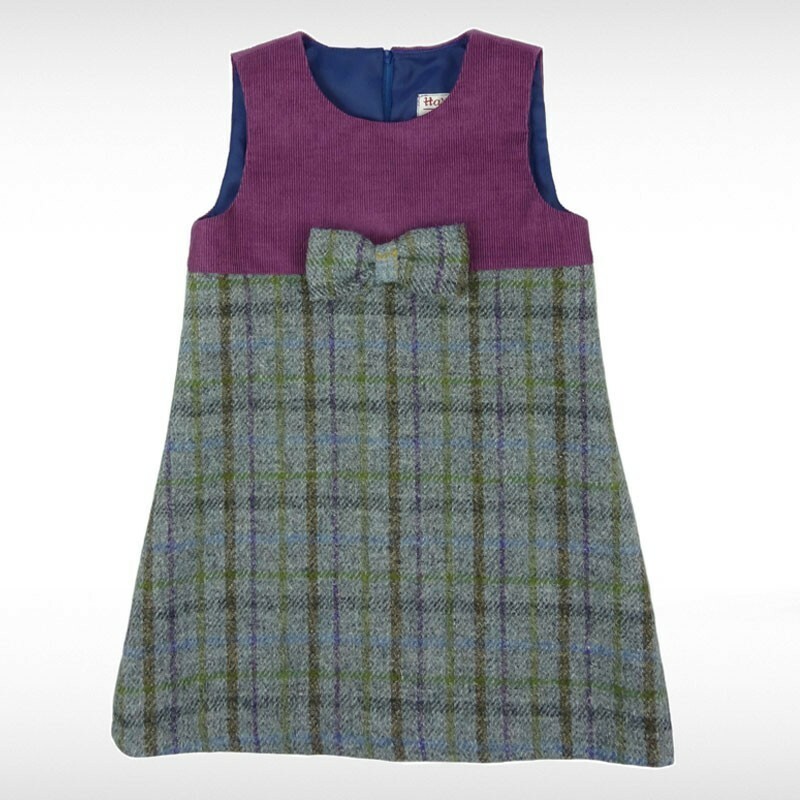 Single breasted jacket with a two button closure and matching five button waistcoat, both with square silver traditional buttons. 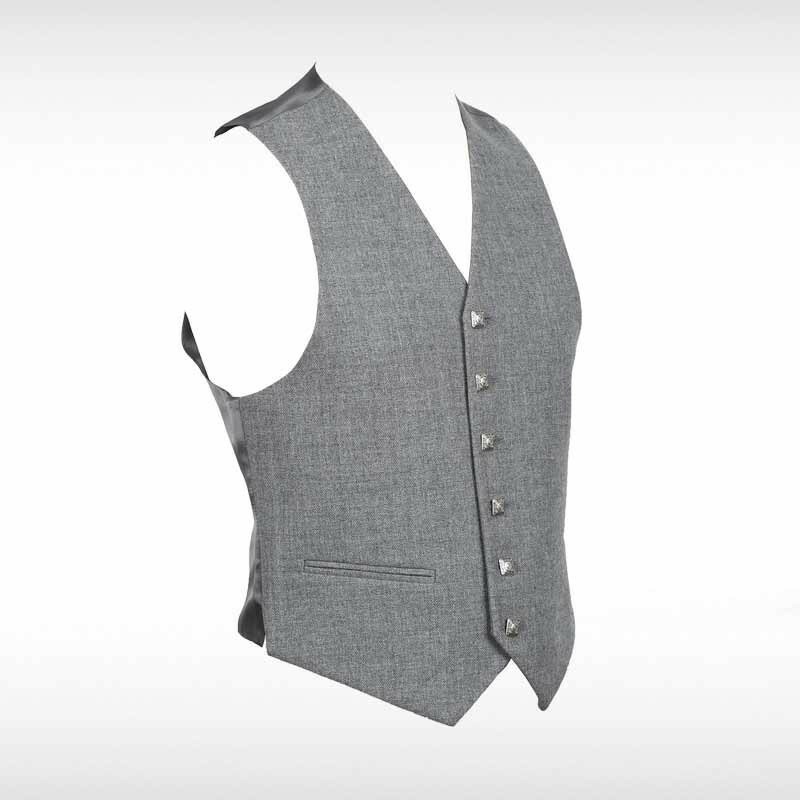 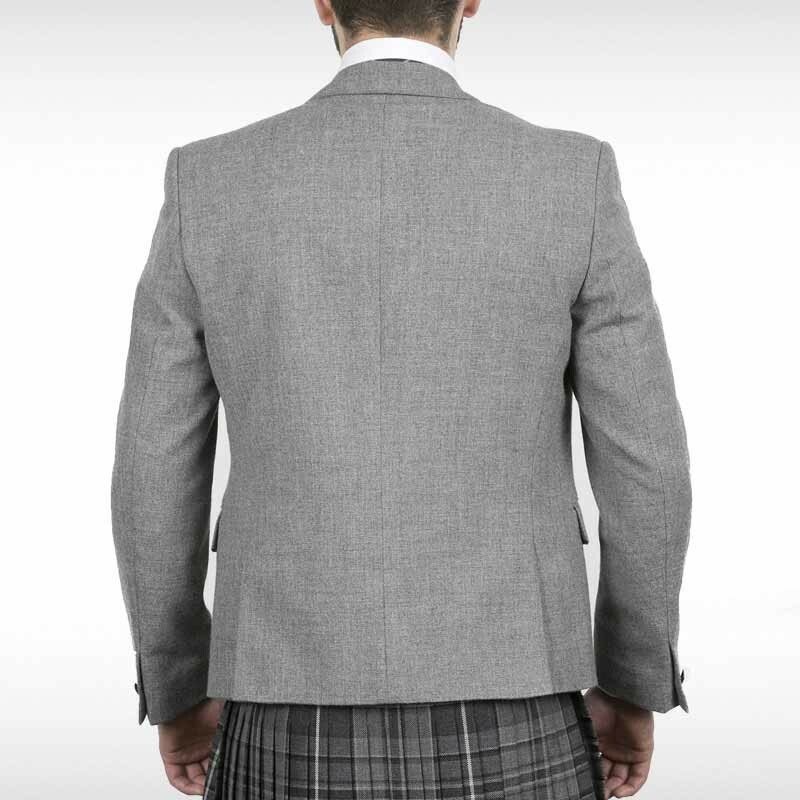 Dark grey/silver fabric used on the back of waistcoat and in lining.